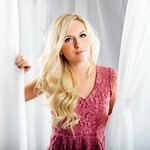 Radio Disney Country Artist and Massachusetts native Jessie Chris announced today that she will serve as an Ambassador for the SYLVANIA Lighting by LEDVANCE “Be The Light Campaign”. Chris, who herself was a victim of extreme bullying as a kid, is no stranger to helping promote the benefits showing kindness to others, has spent her career to date helping educate America on the effects of bullying and the benefits of being supportive of one another. Just last October, Chris was one of the faces of Disney’s National Anti-Bullying Campaign and recently was featured on The Human Race, a healing anthem which included Chris, Kelsea Ballerini, Scotty McCreery, LOCASH and other young country stars. Chris is now very excited to join SYLVANIA Lighting by LEDVANCE to help spread the message of being the light for others in our everyday lives. Chris will be visiting SYLVANIA HQ in Wilmington, MA on Tuesday, February 7th at 11AM to perform and tour the facility. She will also be featured in a PSA which emphasizes how performing small acts of kindness can go a long way for others. “It’s such an honor to be part of such an important campaign with an amazing brand like SYLVANIA. Taking just a few minutes to do something for others can make you feel good for the entire day,” said Chris. Holding the elevator for a stranger. Buying a coffee for the next person in line. Cheering up a friend who is down. Giving a warm smile while working the drive-thru window. Doing a podcast that makes people laugh during their long commute. These are just some of the little ways people who “Be the Light” make our country a brighter place. LEDVANCE is working with the Be the Light Campaign to issue a call to action to find and recognize people who give off positive energy and joy, and reward them for spreading light. In North America, LEDVANCE offers SYLVANIA advanced LED lamps as well as a wide range of traditional light sources, standardized luminaires and connected lighting solutions. Now through February 10 at www.sylvania.com/BeTheLight, you can nominate anyone who exemplifies what it means to “Be the Light” as a way to thank that special person that makes your day brighter. Examples could include a person who exudes positivity, is always willing to help out when needed, or is an inspirational role model. You could nominate a friend, family member, co-worker, anyone you know, or even yourself as a way to inspire others. Out of the nominations, 50 people who best embody the “Be the Light” concept will receive a Thank You Gift that includes a $50 Amazon Gift Card and SYLVANIA lighting products. If your nominee is selected, we will reward you with a $10 Amazon Gift Card and lighting products too! Starting on National Random Acts of Kindness Day (February 17), these selected stories of light-hearted people will be shared online with the hope they will ignite a movement toward positivity and help inspire others to Be the Light.